The team has been growing by continuing to focus on the north east marketplace. The range of transactions that the team has advised upon remains extensive. The team’s objective has been to remain flexible and adaptable to deliver the deals that the regional corporate market presents. Muckle has continued to deliver on that objective with a mix of work from regional corporates, its core market of north east owner managed businesses and the steady number of growing businesses and funds financing them. 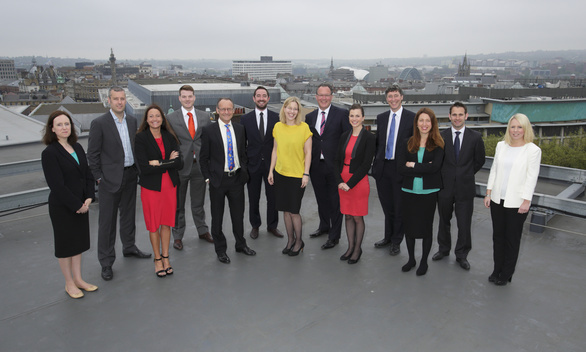 The north east will always remain Muckle’s heartland and as the corporate team’s reputation has grown its approach and service levels have also attracted national and international clients. 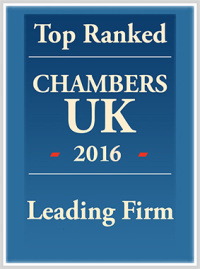 As a partner-led law firm, Muckle LLP has a proportionately higher number of partners than many of its competitors. This enables it to commit the highest levels of service, technical ability, commerciality and experience to each client. The corporate team’s partners are supported by talented, ambitious and hard-working lawyers who understand they must provide every client with an excellent service and value for money. The team continues to increase its capabilities through key promotions and appointments. Philip Clare was promoted to partner in April after joining Muckle as a trainee in 2003 and then building his expertise in the corporate team. Phil has been actively involved in deals that have contributed to the team being voted Corporate Law Firm of the Year for the past six years at the North East Insider Dealmakers Awards. Phil was voted Young Dealmaker of the Year back in 2010. In the past year the team’s capability has expanded further with two new recruits. As work levels increased, Associate solicitor, Amy Wanless, and solicitor, Adam Rayner, joined the team against a background of national law firm Eversheds announcing the closure of its corporate team in our region. Muckle LLP has also been involved in advising on five out of the previous seven transactions that won Deal of the Year since 2007 at the Insider Dealmakers Awards; further evidence of how critical the firm and the team are to the North East’s dealmaking community and clients. Last year, the firm advised on the Deal of the Year on the acquisition of the Homes and Communities Agency’s interest in the North East Property Partnership joint venture by UK Land Estates. Previously, in 2012, the firm advised on the Deal of the Year in listing Utilitywise plc on AIM, the London Stock Exchange’s market for medium-sized growing companies. This was the first business in the region to join AIM for five years. 2013 was an active year for the corporate team who completed deals with a total value of over £480,000,000. The team is optimistic for the second half of 2014 as after a sluggish spring, market activity really picks up. Some of the deals so far this year have included advising Kitwave, the Newcastle-based independent wholesale and distribution group on expansion with the acquisition of Eden Farm. The acquisition fits well with Kitwave in terms of its operations and geography. Eden’s frozen food and ice cream product offerings will broaden Kitwave’s range considerably, and increase its customer base to over 22,000. The corporate team advised Gateshead-based It’s All Good on the £3.5m investment from NVM Private Equity, enabling the company to implement strategies to become the ‘go to’ manufacturer for premium tortillas and other snacks. The funding has been used to set up an additional production line, boosting the business’ manufacturing capability and product development. The team also advised in the management buyout of Sunderland-based marketing communications company, Press Ahead, which is now led by managing director Kieron Goldsborough. For more information, help or advice on corporate transactions please contact Robert Phillips on 0191 211 7906.